I have selected the work of contemporary Swiss jeweler Otto Kunzli in order to evaluate whether the work of a jewellery practitioner can be read like a chapter of history within the given culture. Man does not live in isolation from the world around him. All creatures are subject to the influence of the sum total of their experiences as well as to the environment in which they exist. We are shaped by what has come before us, our personal experiences and by what occurs around us. Art, creativity and design are also subject to these laws. Anything created by our hands and by our minds is going to be influenced by that maker’s life experience. In this way, work produced and the maker themselves can be read as a record and reflection of that period of time and hence of the history of that person and also their culture. Otto Kunzli’s contemporary jewellery demonstrates social commentary, not only on a piece by piece basis, but also over the passage of time. Kunzli’s work is a result of the culture he is living in, which is shown by virtue of his being a contemporary jeweler. To illustrate this point this essay shall first outline cultural events leading to the birth of the contemporary jewellery movement and in doing so prove that practicing in this style is an outcome of the time and place in which Kunzli has studied and developed as an artist. To further demonstrate that Kunzli’s work has the capacity to be read like a chapter of history, this essay will review a number of Kunzli’s pieces which exemplify this principle. In order to analyse whether Otto Kunzli’s practice can be read like a chapter of history in the time in which he is creating his work, its necessary to first isolate the time frame which is in question. Kunzli was born in 1948 in Switzerland. He is still practicing today in 2012, alongside being a professor within the Jewellery Department at the auspicious Munich Academy of Fine Art. The last 64 years have been a time of much change in the world at large, Europe in general and Germany in particular. 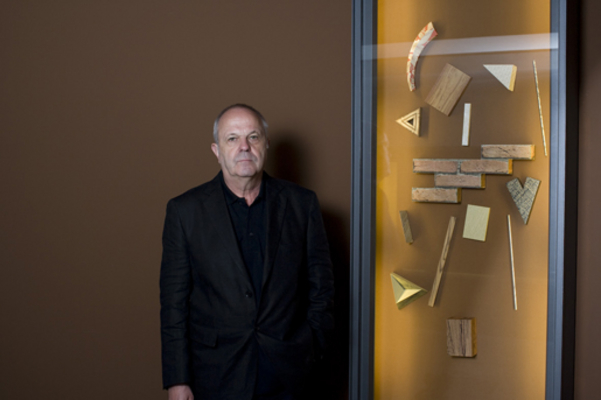 Although Swiss born, Kunzli has spent the great majority of his adult working career based in Germany – since the 1970s. The most obvious way in which Otto Kunzli as a practitioner demonstrates a reflection of the era in which he lives, is by virtue of being a Contemporary Jeweler in the first place. To be a part of the Contemporary Jewellery movement is a very clear reflection of the time in which Kunzli is practicing. Otto Kunzli studied at the Munich Academy under Hermann Junger in a time when Goldsmithy training was being taught within Art Schools for the first time, resulting in exposure to Fine Arts and also a challenge to the traditional idea of Jewellers simply being skilled technicians. Although also existing on other continents, the Contemporary Jewellery Movement is an eminently European phenomena. Its beginnings were fueled by various factors throughout the 19th century; especially the Industrial Revolution and subsequent mechanization of production methods, discovery of new man-made materials and, not least, the succession of World Wars which saw not only a rationing of raw materials but also huge social and political shifts in the wake of the years of war-torn turmoil and change. This was especially true in Germany where the division of the German nation between the Allied forces contributed to friction between the USSR and USA and ultimately to the division of territories into East and West. This caused much unrest amongst the German people as the Cold War developed and citizens had to contend with the reining politics of the area in which they happened to be living. The growing unrest as people had to live within environments outside their control manifested in artists pushing boundaries and challenging accepted archetypes across a range of media – jewellery not withstanding. Similar ripples of cultural discontent were being felt throughout post-war Europe and it was these rumblings which would ultimately give birth to the Contemporary or Art Jewellery Movement. This demonstrates the way in which the social fabric within which a maker is living contributes to the work produced and directly affects the maker themselves. Kunzli is widely accepted as an important contemporary jeweler and also as a maker who demonstrates social commentary through his work. Specific pieces of his work will be discussed shortly, however by virtue of being a Contemporary Jeweller in the first place, his work and he himself as a practitioner can already be read as chapter of history of the culture within which he is living. This art movement was born as a very specific response to the time within which it started. Although the beginnings were over an extended period of time and fed by many factors, there is no doubt that it was post-war discontent throughout the cultures of Europe – especially Germany, which were the hot-house needed for Contemporary Jewellery to grow as a distinct movement. Kunzli’s place as a practitioner within this movement is a direct reflection of this time in history. A hundred years before Kunzli would not have had the artistic freedom nor the social commentary afforded by this art movement that has allowed him to produce the works which he has. Hence his work as a practitioner is very much a product and reflection of the time within which he has been living and working. In 1980 Kunzli designed and produced a piece entitled Gold Makes You Blind. 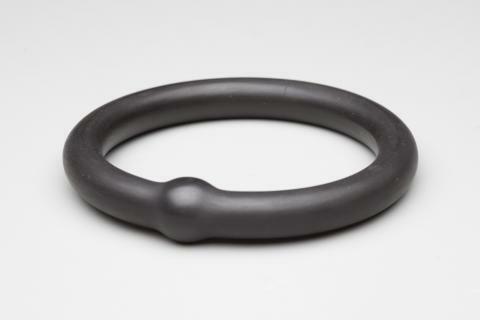 The piece is a smooth bangle design with a ball breaking up the circle of the piece. It is encased in black rubber and houses a gold ball within. This piece challenges perceptions of ‘value’ and the value of gold as a material in particular. Gold has been an integral marker of wealth through-out history. It has traditionally been deemed as ‘precious’ and ‘valuable’. However; the key interest in this piece is that the artist has chosen to obscure the ‘precious’ from sight and cover it with a material which is generally deemed of little value. By removing the gold from sight, Kunzli challenges the viewer to re-appraise what is valuable about the piece. The title helps to compound this effect. The purpose of this piece is to challenge pre-conceived ideas of value and of class – using the material as a metaphor. 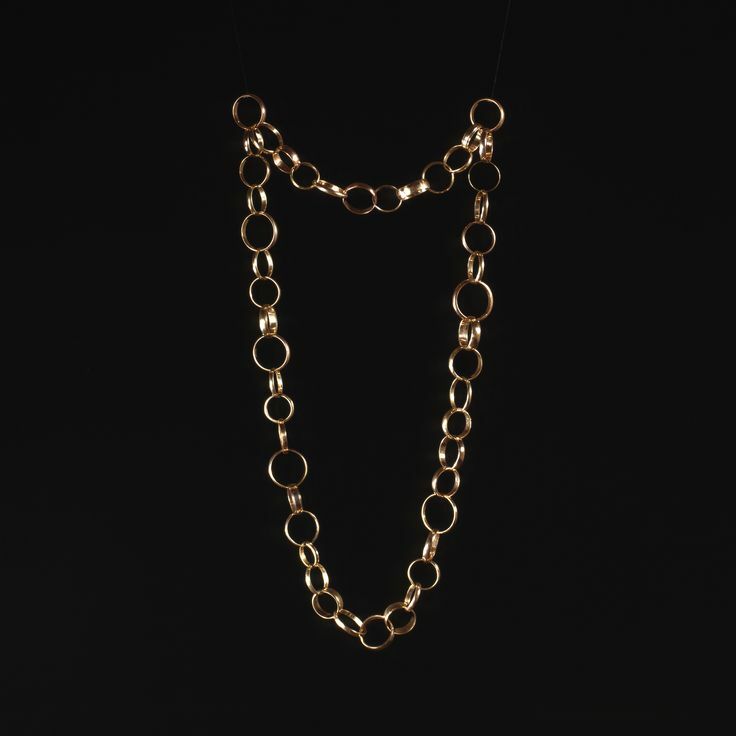 By questioning the use of gold as a standard Otto Kunzli is essentially challenging social and jewellery making traditions, for both wearer and maker, and is pushing for a ‘democratisation’ of material use alongside expressing a feeling of accountability in his work. The concept behind this piece is a direct reflection of the time in which it was made. In 1980 Germany, there was a huge disparity between lifestyle and cultural standards between the East and West, Communist/Capitalist regions of Germany, and of course between post-war Germany and the Europe at large. It would have been impossible to live in Germany at that time and to have not been aware of the ever-present political situation. Another event which was on people’s minds in Germany (and around the world) at this time was an ongoing awareness and disapproval of the Apartheid system in South Africa where gold was mined at the unfair expense of poverty stricken workers. Both of these political issues were reflected in a social climate which increasingly embraced a desire for cultural change and a rising demand for democracy, freedom of choice and integral human rights. At this time in history there was a strong awareness of Capitalism versus Communism as political models, and also of wealth inequality in the world. These factors were part of a general and growing feeling in German society of challenging tradition and Government/state/politically projected ideas of morality which would ultimately contribute to the fall of the Berlin wall 8 years later. The cultural climate of the time would have been inspiration for this piece and fueled the concept of questioning what is integrally valuable – showing the way in which Kunzli’s work can be read like a chapter of history in the time in which work was produced. Another piece by Kunzli is entitled Chain (1985-1986), which again demonstrates this paradigm. Chain is a necklace which has been constructed by meticulously opening, linking and re-soldering used gold wedding rings as chain links. As in the previous piece discussed (Gold Makes You Blind), this work challenges the viewer to question an automatic response of valuing gold as precious and desirable. In this work Kunzli cleverly does this through the choice of used wedding rings as a material. The rings have strong cultural and religious significance, which traditionally would have been cherished until ‘death did them part’, by using them as components, Kunzli has harnessed the common sense of sacrosanct attached to wedding bands and then flipped this response on its head by using the rings in a way which makes it clear that they are no longer being used for their original romantic purpose. In doing this Kunzli achieves the effect of making what typically would be considered ‘precious’ – gold – and by virtue of its context within the design, making the gold become undesirable. Who wants to wear someone else’s failed dreams around their neck? As in Gold Makes You Blind the artist is again making a commentary on the ‘class’ of gold as a material and also making an observation on the prevalence of divorce and hence changing cultural tradition and the rights of personal choice within society. In 1985, Germany had one of the world’s highest divorce rates at 3.1 per 1000 population. During this period there were two different laws in place for the East and West of Germany, another example of the contrast between State and individual experience in germany at the time. In East Germany the ‘Family Law Code’ was in place since 1976 and in West Germany the ‘First Marriage Law and Family Law Reform Act’ was in place, also since 1976. Under both laws it was possible but an often lengthy process to obtain a divorce. The piece Chain could never have existed prior to divorce being legalised in that country 1875, as an artist would never have managed to get hold of discarded wedding rings to use as a material.The fact that there was a high divorce rate at the time that the piece was made further demonstrates the way in which Kunzli’s work is a reflection of the culture and place in which his work has been created. A last example of Kunzli’s practice exhibiting this tendency is in his Mickey Mouse series. 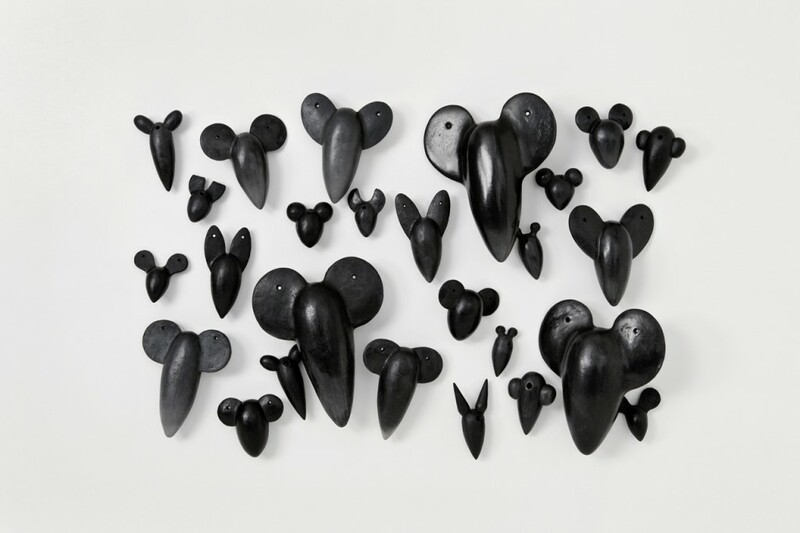 This is a large collection of works, mostly pendants and brooches which to more and less obvious degrees, are based on a pastiche of the sillouette of Disney’s Mickey Mouse character. The conceptual purpose of this series is to deconstruct this instantly recognizable American cartoon character in order to question that country’s predilection for presenting itself as cotton candy whilst operating with more sinister intentions below the surface. In the artist’s own words about this series; “I realized it [Broken Mickey Mouse design] was about fragmenting and destroying some of my childhood idols. I quickly discovered that Mickey Mouse was a universal vehicle for transmitting certain ideas and comments, which can function in many countries with diverse cultural backgrounds…I grew up believing all the doctrines about America being the land of hope, freedom and democracy etc, but recent events suggest otherwise, so maybe these works are a delayed reaction to the shattered illusion.” As this is a large series, slightly different concepts are explored on a piece by piece basis, ranging from the Cold War, consumerism, globalization, nuclear warfare and Government smokescreens to name a few. Although the artistic concept explores a range of issues, the series again demonstrates that Kunzli’s work is very much a reflection and indicator of the time in history and of the culture within which he is practicing. Otto Kunzli’s work showcases the journey of his own life and of the societal changes in the wider community and world around him within that timeframe. His work acts as a visual, wearable manifestation of the man himself and of the world view which carves him. His work demonstrates social commentary again and again which is manifested in his art as a contemporary jeweler. As this essay has demonstrated, Kunzli’s creations as an artist and jeweller can indeed be read like a chapter of the history of the culture within which he is practicing. His artistic voice speaks loud and clear through his clever, often subversive and challenging yet always interesting work.